The textiles recently installed in the “Frayed: Textiles on the Edge” exhibition at Time & Tide Museum, Great Yarmouth, have been conserved and prepared by Deborah Phipps over the past summer months. 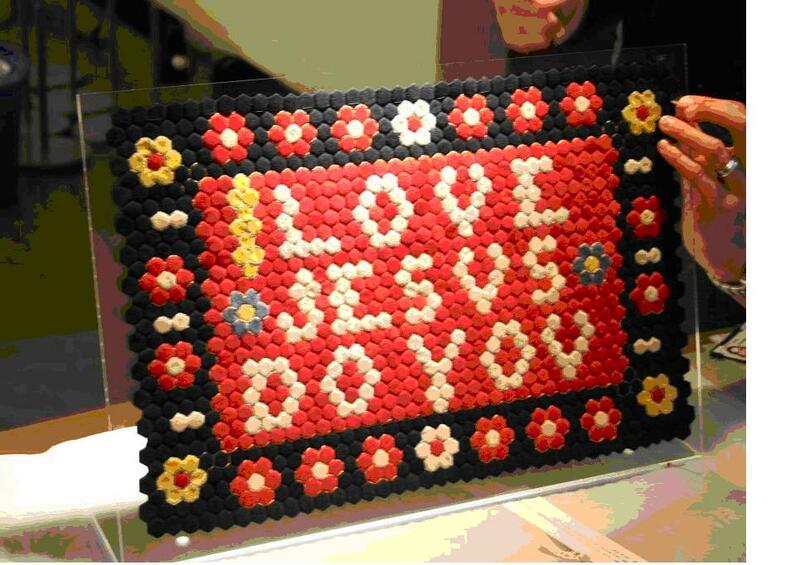 There are 50 individual textiles (including all the bed hangings on the Brereton bed) on display. Each piece had to be individually condition checked and carefully packed before transportation to Great Yarmouth, several of the objects required remedial work including the Elizabeth fry quilt. See Frayed blog as well, for more detailed posts. 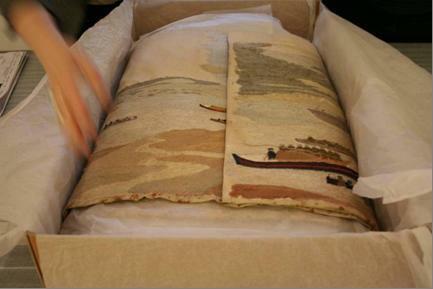 This image shows the 1940 John Craske embroidery being unwrapped prior to installation. 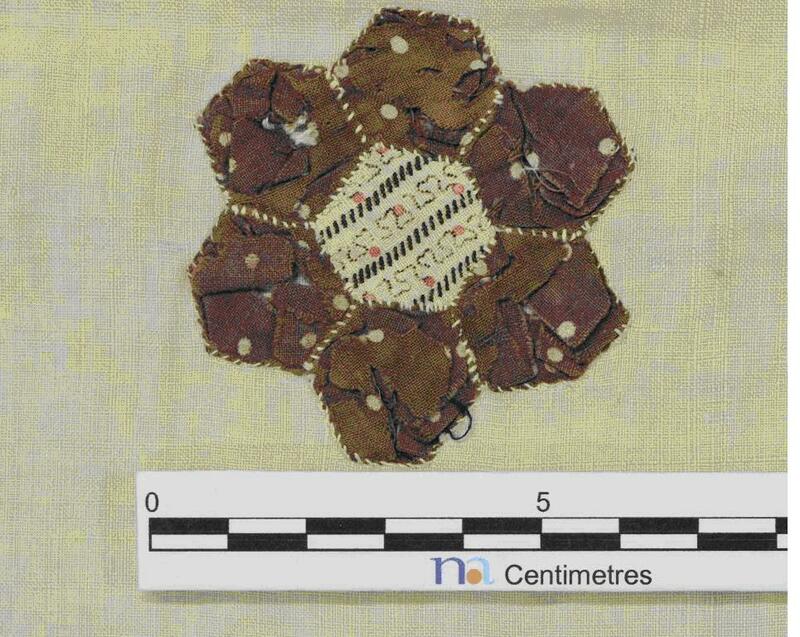 The Elizabeth Fry quilt was suffering from a problem with the dyes used on the patchwork fabrics. The darker colours are created with a particular pre dye treatment (mordant) which can accelerate the breakdown of the fibres and lead to losses of fabric and an underlying weakness to the weave structure. Installation took place over three weeks in September and October and involved making a 3.5m batten to hold the John Craske embroidery, and stitching through acrylic in order to show the reverse of a particularly interesting patchwork piece; possibly made by a soldier, from pieces of Uniform fabric. This image shows the patchwork on the acrylic stand with final stitches being made.